Starting April 1, the collection and removal of tropical fish will no longer be allowed at the Blue Heron Bridge and Phil Foster Park. 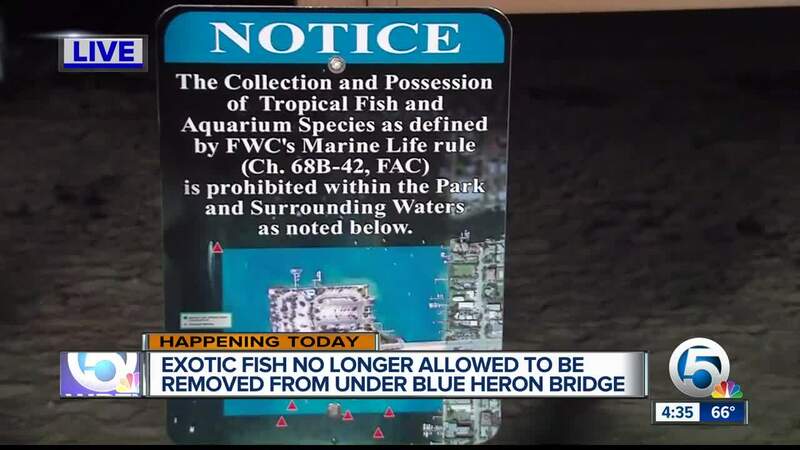 RIVIERA BEACH, Fla. — Starting April 1, the collection and removal of tropical fish will no longer be allowed at the Blue Heron Bridge and Phil Foster Park. Florida Fish and Wildlife Commission approved prohibiting the harvest/possession of tropical aquarium species at the Blue Heron Bridge dive site. This is a win for those who dive in the area. “April 1, finally Palm Beach County is going to reach a milestone they have been trying to get done for years,” said Jim Abernethy of Scuba Adventures. Abernethy said he and many others have spent years fighting for these new regulations. 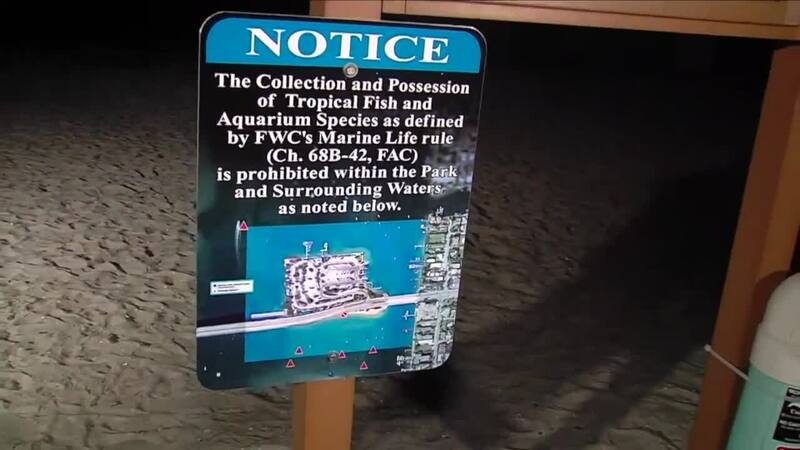 FWC even included the north side of the bridge as a restricted area to take marine life from. “It actually covers everything that we requested,” said Abernethy. Hook and line fishing will still be allowed at the Blue Heron Bridge.